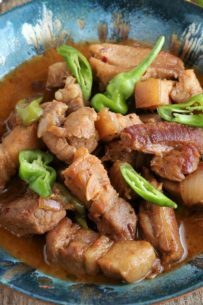 Another Filipino food recipe, Adobo is the most popular dish among Filipinos I would say, both in the Philippines and abroad. 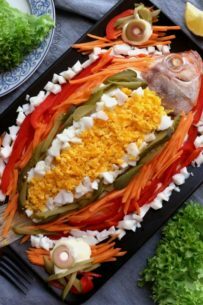 It is, for many of us, a taste of home and although the name was taken from Spanish (as many Filipino words are), the cooking method is 100% Filipino. At the moment it is only considered the ‘unofficial’ national dish of the Philippines but measures have already been taken to make it official. 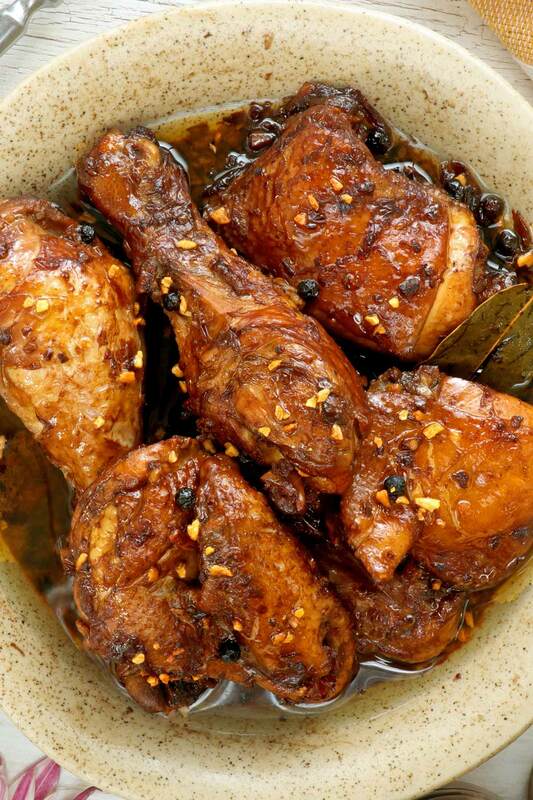 Adobo does not only taste good and easy to cook, it is also a practical dish as it keeps well for days even without putting it in the fridge (and for weeks if you do). And in the old days most households do not own a fridge and with the warm temperature it is easy for food to spoil, thus, cooking Adobo has become so common in every home and each one has their own version of it. Different kinds of meat, like pork, chicken, fish, seafood and even some vegetables can be cooked Adobo style, and the one constant ingredient is vinegar. Some ingredients also vary depending on one’s preference or mood. 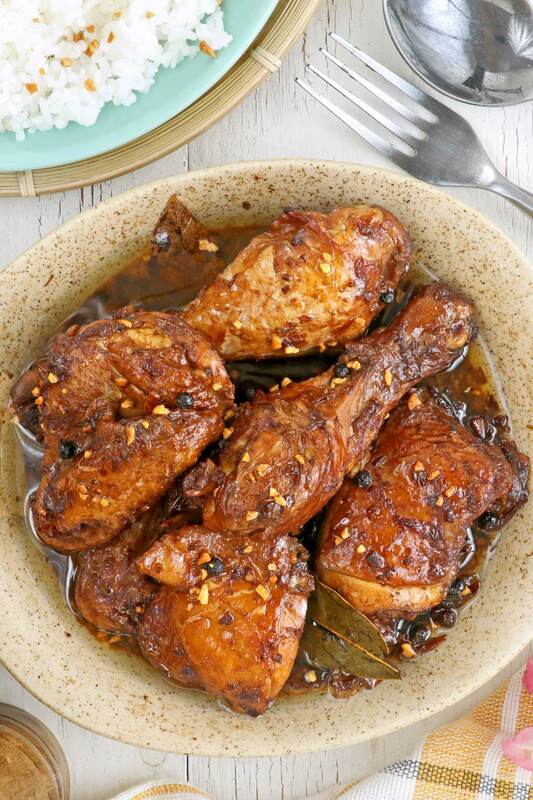 This recipe of Chicken Adobo, which is the more common than using other meat, is one of the version I learned from my Mama and is the one I prefer the most. Mostly because I love garlic and I also like my Adobo cooked longer than the sauce has really thickened and mostly absorbed by the meat. I agree, Marion! Just had it yesterday and already missing it! Hi, do you use the same measurements for adobong kangkong & adobong sitaw? Ty. Hi Rachel, assuming that you are also adding pork (1/4 kilo), you may use the same measurements reducing the water to 1/2 cup. But the procedure is slightly different. You cook the pork first in oil until browned then add the liquids. Let it simmer until meat is tender and you add your string beans/sitaw or kangkong.